On Wednesday 24th September 2014, the Prime Minister Shri Narendra Modi has congratulated the Indian space scientists and Research organization (ISRO) for successfully inserting the Mars Orbiter Mission the ‘Mangalyaan‘ into Martian orbit. 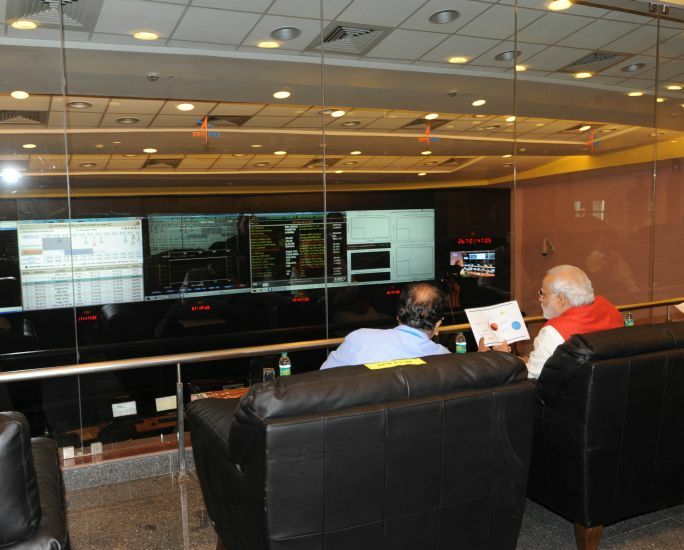 The Prime Minister was addressing scientists after witnessing the insertion procedure at ISRO in Bangalore. The Prime Minister Modi said that,“ history has been created by the Indian scientists reaching Mars in the first attempt, none of the nations have been successful in their introductory attempts, I told the scientists not to worry about failure, as if we had failed, it would have been my responsibility”. The Governor of Karnataka, Shri Vajubhai Vala, the Chief Minister of Karnataka Shri Siddaramaiah, and Union Ministers Shri Ananth Kumar and Shri Sadanand Gowda were also present on the occasion. 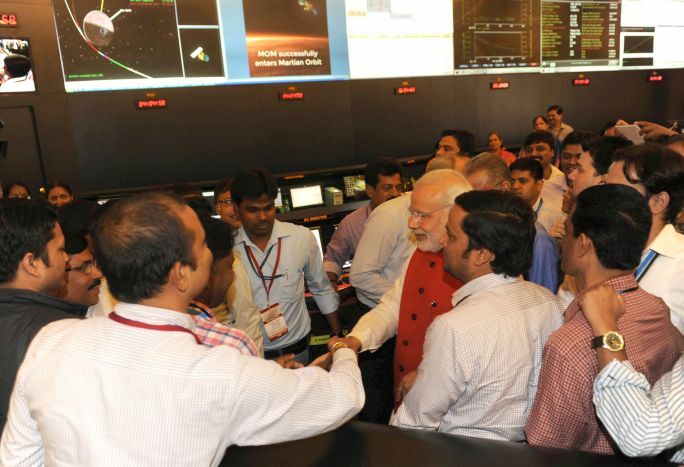 Giving lots of appreciation to Indian Scientist, PM Narendra Modi said that “Indian scientists, through their hard work and dedication, have stretched the boundaries of human enterprise and imagination.”He also specified the Mars Orbiter Mission as primitive pan-Indian effort, expanding from Bangalore to Bhubaneswar, and Faridabad to Rajkot. Honoring the scientists, Shri Narendra Modi said, “The hunger of exploration and the thrill of discovery are not for the faint hearted.”PM encouraged scientists to choose on and work on more challenging projects, and said he had confidence that they would be able to get success in even those projects. PM Narendra Modi also said that, “the success of the space programme is a shining symbol of what we are capable of as a nation. The efforts of India’s space scientists are deepening our governance, strengthening our economy and improving our lives”. The celebration of the success of ‘Mangalyaan’. is thousand times greater than India wining cricket tournament. The aim of the Mars Orbiter Mission into Martian orbit is to build the technologies required for design, planning, management and operations of an interplanetary mission. Dr K Kasturirangan president of the National Academy of Sciences and former Chairman of Indian Space Research Organisation (ISRO), said that “The success of ‘Mars Mission’ will give India its rightful place in the world as it was the outcome of the good leadership and excellent team work.” On the occasion.